Depending on the nature and cut, the shelf life is at between approx. 33 and 83 days when stored at + 4°C – + 18°C. Rustic Ham-Toast: delicious basis for savory toasts or baguettes, for example with fresh tomatoes and cheese or with tomatoes, herbs and olives. It is also really delicious with anchovies, capers and green lettuce. Alsatian Tarte Flambée: To ensure that the original tarte flambée gets its really hearty taste, we recommend you put onions, Crème fraîche and strips of ADLER ham on the dough. The strips of ham are also ideally suited for pizza and quiche Lorraine. Black Forest ham with Rösti and Avocado: Sprinkle some lemon juice on the slices of avocado. Place some avocado and Black Forest ham on the freshly baked Rösti, while it is still in the form. Garnish with fine dabs of Crème fraîche. Season with salt and freshly ground pepper according to taste. In the 1950s, ADLER made a regional specialty famous, which today has become renowned across the entire world: Black Forest ham. 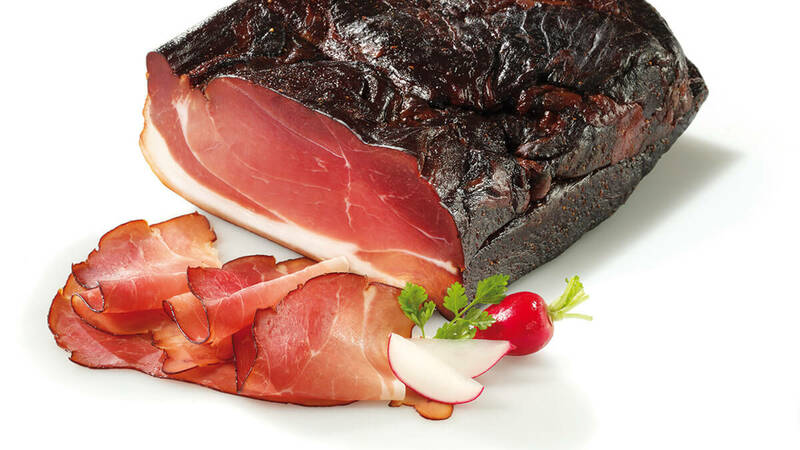 Anyone who has ever tasted it will henceforth be able to recognise the genuine Black Forest ham with closed eyes: the deliciously-aromatic flavour is absolutely unique. Just as typical is the special colour, created by the smoking. 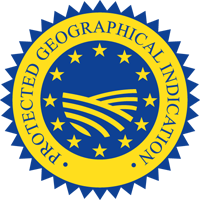 In addition to this there is another special characteristic for this delicacy: only one specialty coming from this region may bear the protected name of “Black Forest ham”. ADLER Black Forest is made of selected gammon. Finely seasoned according to traditional recipes and salted by hand, the ham remains in salt for a couple of weeks. Subsequent to this, it is smoked with a mixture of green pine twigs, sawdust and wood chips made of Black Forest fir trees. In the course of the smoking period, which lasts three weeks, the ham then obtains its typical smoky colour. Once this has been completed, it has to rest and mature: after 12 weeks the ham is ready for consumption. 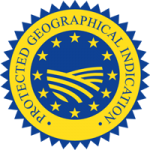 The Black Forest Ham bears the seal of geographical indication by the European Union. It is about its traditional manufacturing method in the Black Forest region. One can purchase ADLER Black Forest ham per piece, sliced, with or without rind and it has a long shelf life if stored correctly.